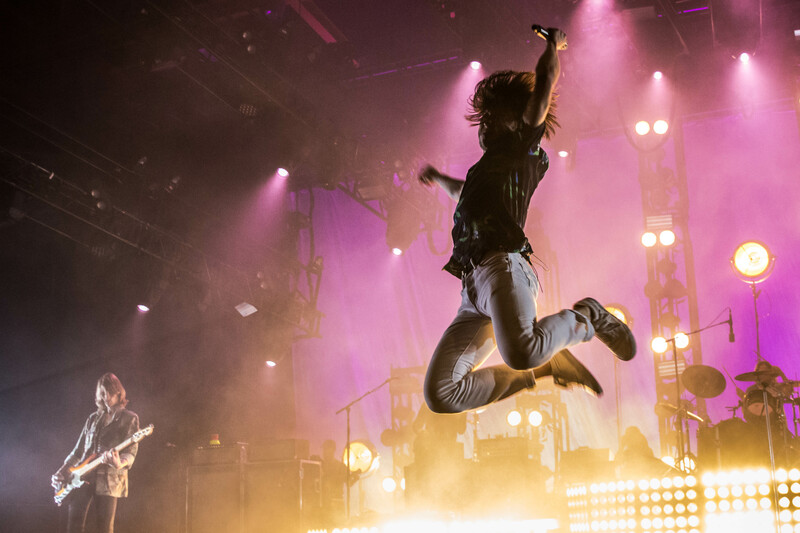 Is anyone else suffering from some Post Concert Depression after Tuesday night’s Cage the Elephant show? Hopefully I’m not alone! I’ve seen Cage twice before, but this was my first time shooting them, which was an absolute dream come true. The captivating Shultz brothers connect with fans in a way that no other band has managed, and they do it with extreme ease. Their great relationship with fans has created an exceptionally dedicated fan base that isn’t afraid to let loose at concerts and enjoy a wild night with their favorite guys. The majority of Cage’s setlist was made up of songs from their two most recent albums – Melophobia and Tell Me I’m Pretty. The band rolled out hit after hit, interspersed with slower songs to give both fans and the band a chance to catch their breath. 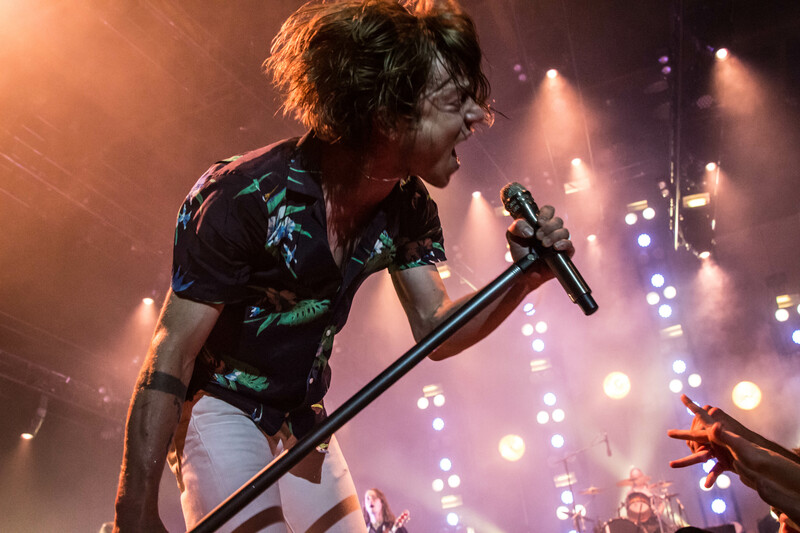 Mid show, lead singer Matt Shultz thanked fans for coming out and stated, “We could all be somewhere else, but we’re all here doing this strange thing together.” Strange? Maybe a little, but that’s the power of music. It has the power to create a communal experience with thousands of strangers who become your concert family for the night. The Kentucky boys played some of the songs that launched them into stardom like “Ain’t No Rest for the Wicked”, “Back Against the Wall”, and “Shake Me Down” which was a treat for long-time fans. 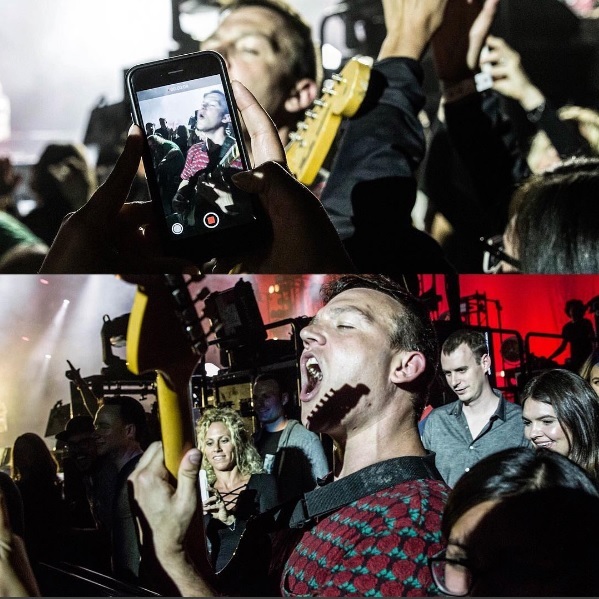 Both Shultz brothers got up close and personal with concert-goers. Guitarist Brad Shultz took a walk through a throng of fans up near the barrier. Frenzied, they scrambled to get their phones out to take pictures with the guitarist as he came by, still playing guitar. Hoisted up by the Cage family of fans, B. Shultz made it back up to the stage just in time for them to exit before their encore. 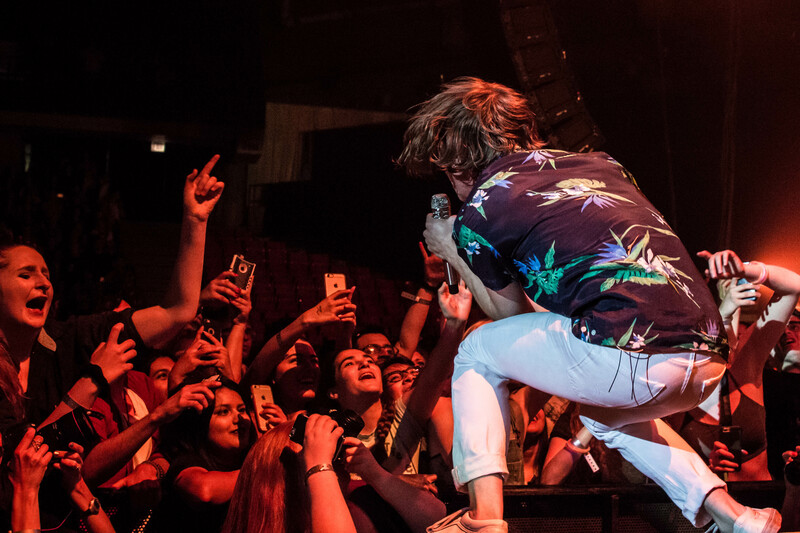 Matt Shultz, who managed to keep all of his clothes on for the duration of the concert, walked on top of the crowd during the encore. While this was the shortest jaunt into the crowd I have seen him do live, I’m always shocked when he successfully stands perfectly still on top of the crowd. That concert was everything I love about music. The family feeling that allows you to get silly without fear of judgment, a non-stop setlist, fans enjoying the band, the band enjoying the fans, and the band genuinely having a great time playing together live. Prior to starting the encore, the Shultz brothers said that Chicago is the best city for rock and roll, and that it somehow manages to be better and better every time they come here. The admiration is mutual. Cage loves Chicago, and Chicago loves Cage. When the concert was over, Matt collected all the setlists and gave them to fans, along with a few guitar picks. They have created a truly incomparable experience for fans, and deserve all the success they have received. Can’t wait to see what they do next! For more photos, and there are a lot more, click here.